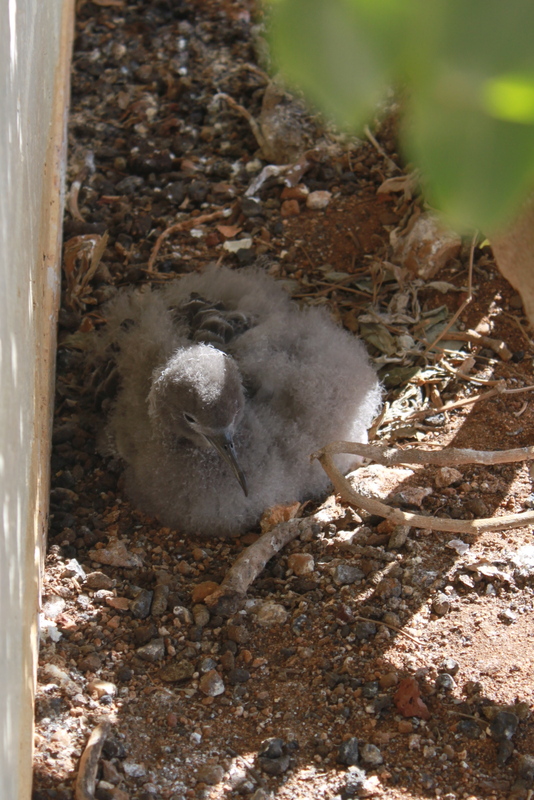 I’ve been cataloging the progress of our Wedge-tailed Shearwater chicks over the past three months (mostly the same one near the lighthouse building), as it is the most accessible, having been laid and hatched above ground instead of in a more typical burrow). I’ve snapped at least one photo a week since it was a couple of weeks old. I’ve watched it grow from a tiny ball of almost white cotton wool, through various stages of grey fluff and the appearance of its flight feathers. It has morphed into an adult as I’ve watched. Its chest is now whiter, with only patches of the grey chick-fluff remaining, and it is far more active, though still not moving more than a yard or two from its nest. 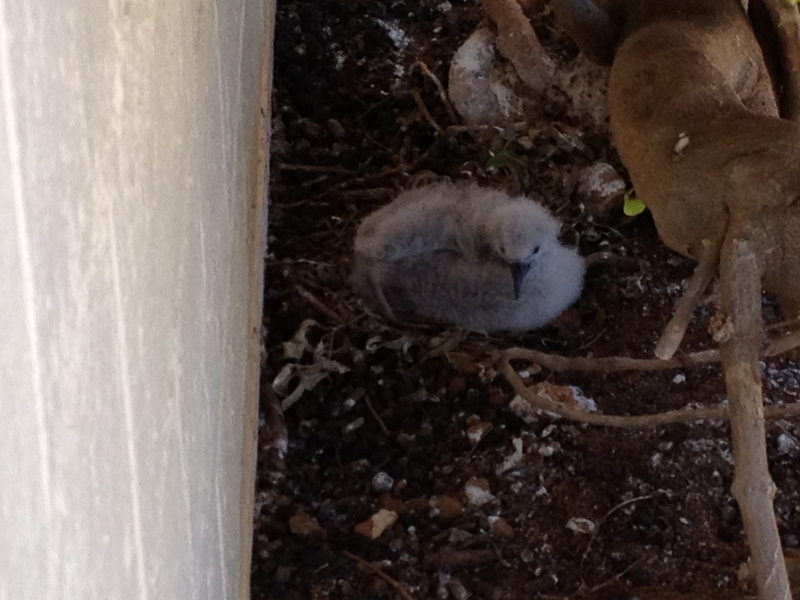 One day soon, I’ll arrive for my afternoon volunteer stint, to find an empty nest. I’ll be disappointed not to see the chick, or to share it with visitors, but delighted to know it’s fledged safely and is on its way down south. 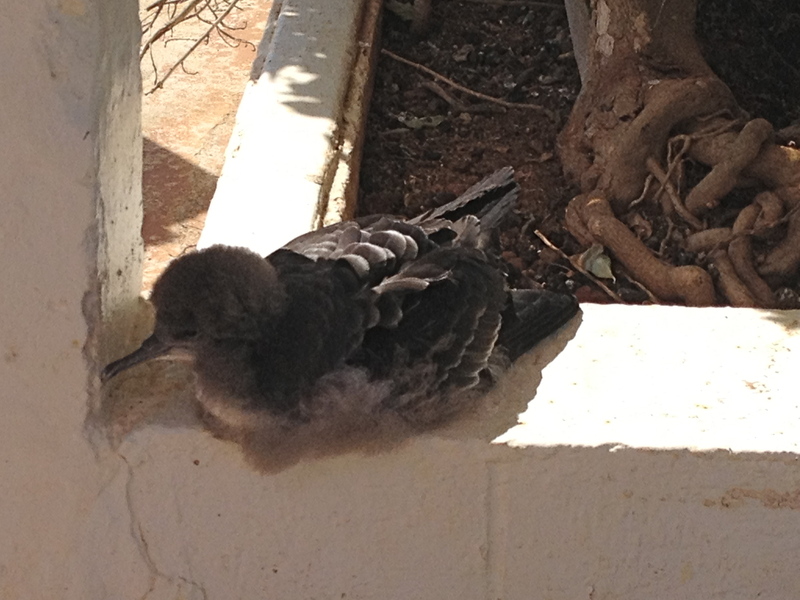 This entry was posted in Flora & fauna, Kauai, Kilauea Point and tagged Kauai, KPNWR, wedge-tailed shearwater by kauaigreenhorn. Bookmark the permalink.